It often seems as though there is a constant flow of new contact center technologies being introduced with promises of improving the customer experience. But even the most impressive technology isn’t worth its weight in circuit boards and accelerometers if it doesn’t reduce effort or otherwise delight customers. The goal of any advanced call center technology should be to improve the customer experience and deliver heightened personalization. After all, brands spend so much time, energy and resources acquiring customers, that they can’t afford to have technology erode the personal connection they’ve worked so hard to establish. In the modern age, brands understand with startling granularity how customers navigate their websites, mobile apps, customer support channels and other applications. Nearly all emerging contact center technologies apply data-driven artificial intelligence (AI) in one way or another, and the goal is always the same: simplify the customer’s life and save them time while making them feel valued and understood. Below are five key next-generation technologies that are adding new levels of personalization to the customer experience and enabling enhanced human connections. 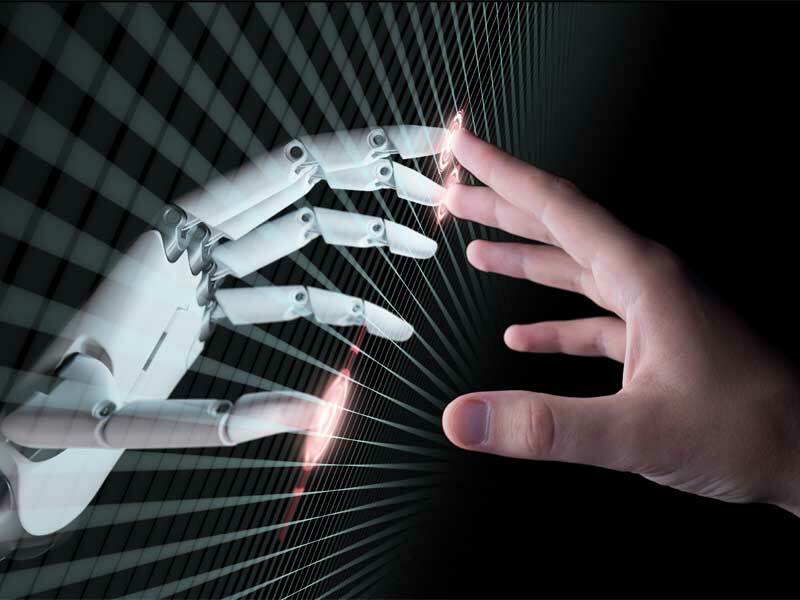 Robotic process automation offers a specific manifestation of AI. Through machine learning, contact center operators can now automate everyday tasks that would normally take up agents’ time, and ignite quick resolutions. For example, say a customer orders a gift for their spouse’s birthday online and pays extra for two-day shipping. The vendor’s packing and shipping process gets delayed, and the order is not going to be delivered on time. With an AI-driven platform in place, any irregularity in the delivery of the package would auto-trigger an alert to a live agent (or RPA solution), giving them the opportunity to contact the customer proactively. Another way to increase personalization and improve the customer experience is through smart call routing and customizable IVR systems. If a customer placed an order yesterday, there’s a chance they may be in the market to augment the order somehow, or perhaps change a detail, such as the delivery address. A smart IVR can automate some of these straightforward tasks without needing to route the call to a human. “It can be a bit spooky at times for some folks, but it gets to the point of the matter very quickly,” says Taylor. It’s a win-win. 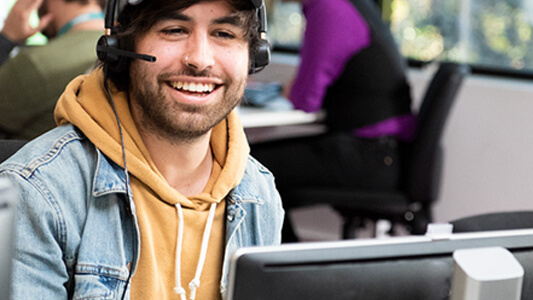 Customers are happier with quicker, more personalized resolution, and contact center operators are glad for the cost reduction in handling these types of interactions. Greater segmentation can also lead to a stronger emotional connection between customer and agent, driven by personalized knowledge of the account through a top-notch CRM. “If you’re able to segment customers into types or personas, then you’re often able to offer a more deeply personalized experience for them,” Taylor says. Say a sporting goods company offers a vast array of products, but a customer is calling in about a specialized mountain bike. If you can connect that customer with an agent who shares their love for mountain biking, you’ll create a more genuine and personal connection. “It’s impossible for most organizations today to get down to a ‘universe of one’, but it is possible to more broadly categorize them based on information that’s been gathered during previous interactions,” says Taylor. In addition to simply identifying the reason a customer is calling, text and speech analytics platforms are now able to detect emotion, tone and stress in a customer’s voice. They can then provide real-time analytics to help agents quickly identify a customer’s needs and expectations, and suggest how to best address their issue. If the system detects anger, hostility or unhappiness, for example, it can create a flag on the account and route a given caller to an agent trained in de-escalation, and who may be authorized to offer a discount to keep that customer happy, says Taylor. Speech analytics technology can also be used to coach contact center agents. The ability to immediately address when an agent strays from a script, misses an up-sell opportunity or is under-performing with respect to KPIs during the course of their shift, can greatly improve their performance to drive better first call resolution metrics and a reduced call volume. Depending on their specific application, these technologies can make a marked improvement on the customer experience when deployed properly. 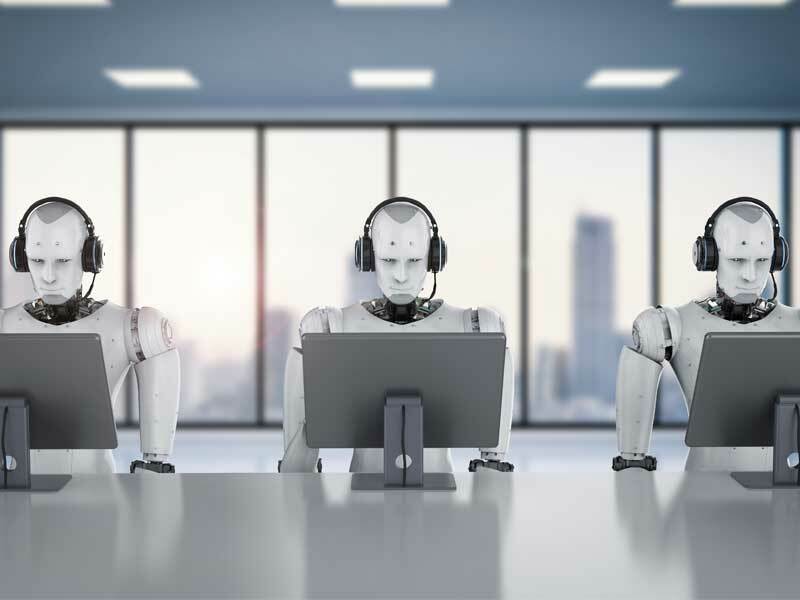 Most importantly, rather than eliminating humans in the contact center, AI and the automation it enables can actually free call center agents up for higher-value — and more engaging, interesting — work. That means less repetitive, mundane tasks and more focus on making real, meaningful connections with customers for a redefined high-tech, high-touch level of service. Man vs. Bot: Does automation lead to better CX?